My son sings in the shower. It makes me smile to hear him down the hall; yesterday it made my daughter laugh. "Mama, he is singing a song about adjectives!" I couldn't recall any adjective song, but later realized that he was repeating a song that he heard on the Wordy Qwerty program. 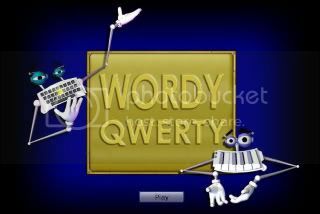 Wordy Qwerty is a software program geared for grades 2-4. This is a progression from Talking Fingers Read Write and Type which we reviewed earlier this year. They play games, read, and use the mouse to choose words from a drop down menu. 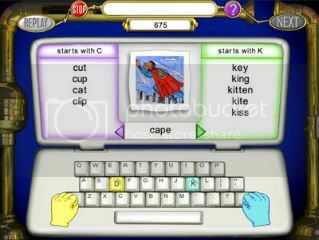 Spelling rules, reading, and typing are integrated into the program. If a child has not mastered a level, you can have them repeat the levels they have already done. (They are only sent back once automatically.) Joseph has voluntarily repeated several lessons and said simply "its fun." Check out their scope and sequence for yourself. 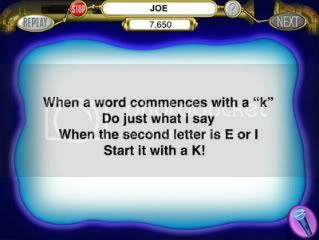 You can also try an online demo of Wordy Qwerty and save 20%. A five year online subscription is $25 for one student, with optional packages for multiple students. The program is also available as a CD for $35 which includes the JingleSpells song CD. Joseph (7 years old) has enjoyed using this program. He enjoyed the music machine, which is built as lessons are completed. He did expect, however, to be able to do something with the music machine. After successfully completing Read, Write & Type!, most 6-7 year olds are able to write any word they can say. But they may not spell them all correctly, because they need to know a bit more about spelling conventions and about how words are constructed in English. This is where Wordy Qwerty comes in. In 20 consecutive lessons, woven together with fun-to-play games and delightful songs that will stay in their heads (and an audio CD they can play in the car or on their audio CD player)." 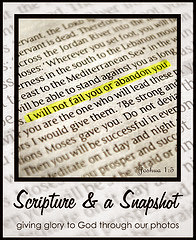 We received a download of this program for the purpose of this review. See what other crew members shared in their reviews here.